How Does My Donation to CAA Help Camp Fire Victims? 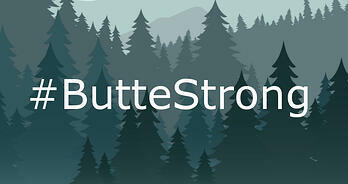 Butte CAA is committed to disaster response, with a proven track record over the last 50 years of addressing urgent community needs. The thousands of people displaced by the Camp Fire have caused a huge spike in the need for food and shelter in Butte County. Our commitment to effective solutions for these community issues has never been stronger, and the need has never been greater. 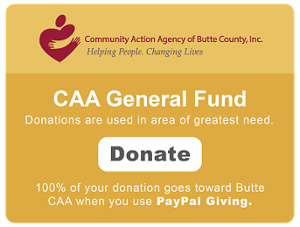 There are multiple groups and agencies working on Camp Fire relief efforts, so why donate to CAA? Here's what we're doing with your donation. Donating through PayPal Giving with your PayPal account is the best way to make sure your money makes the most impact. PayPal waives all processing fees so that your entire donation goes to helping people and changing lives. Don't have a PayPal account? No problem. CLICK HERE to make a simple donation with your credit card without requiring a PayPal account.